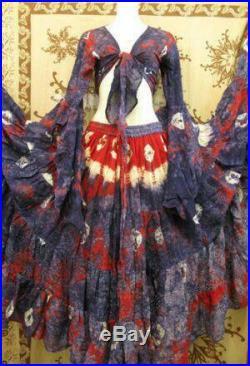 Full 25 yard tribal gypsy skirt setbeautiful colors. 36" in length can fit up to 52" waist. Please lmk if you want a differentlength. Will custom make for you.